We have time for nothing but the truth. It is my joy to help you find your truth. I believe that, just as a plant naturally turns toward the light to grow, you have within you an innate ability to heal and flourish. When you speak, I will listen with my mind and my heart. I will respond from a place of intuitive wisdom, sensitivity and humor. Although this process may involve the fear of wrestling with inner conflict and moving through dark places of old wounds – you are not alone. I am here to walk you from the darkness into the Light where you will befriend the Truth of your Being. Through my learning and experience in many realms, I bring an integrated approach tailored to fit you. I am a seasoned therapist in an active private practice; I have been successful in helping people with hurting hearts and ailing relationships, for over forty years. Clients include a broad range of ages, and phases of life- teenagers, young adults, mid-life and older persons. Each phase of development requires unique tasks which challenge us in our growth. Together we are on a healing journey to actualize your best self. 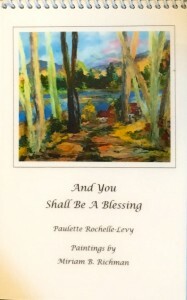 Each individual and each couple present a fresh situation for me to create new expressions of Spirit/Body/Mind designed to fit each client in every hour for the highest possibility of healing. Healing means to become whole, integrated and authentic. Healing means living in the truth of your own Soul. Living Your Truth means answering the calling of your unique Soul to walk your path with courage–to live fully-given your unique circumstance of temperament, health, family, talents, skills, and challenges, as well as the time and place in the world that we find ourselves. It means divesting yourself of old stories and addictions of thought, action and substance that no longer serve you- nor others in your circles of relationship. As a Creativity Coach, I am dedicated to helping you gain the vision to see your path and the courage to walk upon it. As a Dance /Movement Therapist I engage the totality of you- Body/Mind and Spirit to quiet your mind and open your heart to new creative expression, through your authentic dance. 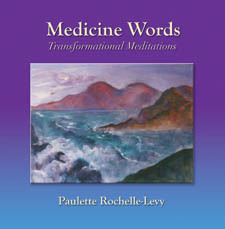 My books and CDs are spiritual words for healing and hope. 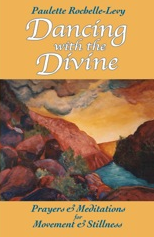 In these works you will find explorations of doubt and faith, recovery from trauma, addiction and anger as well celebrations of gratitude, as the fountain of healing. I am dedicated to inspiring others to live in total wellness. How may I inspire you?